Gold Girl Scout, Troop Leader, and Auth0 Support Operations Manager Abigail Sanchez displaying a few of her many scout accomplishments. Girl Scouts can earn cybersecurity badges! After learning about some scouts who got theirs with the help of the University of Alabama, we put out an all-call on Slack to see if anyone knew of a troop that might want some help from Auth0. 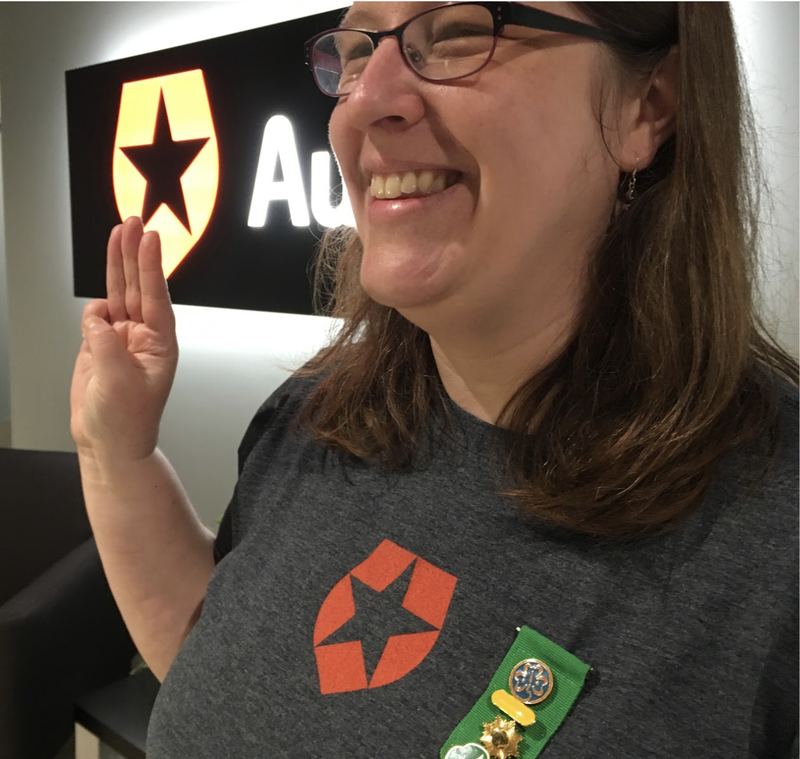 Turns out that one of our own, Support Operations Manager Abigail Sanchez is not only a troop leader but also a Gold Girl Scout (the male equivalent would be an Eagle Scout) with 25 years of scouting experience. 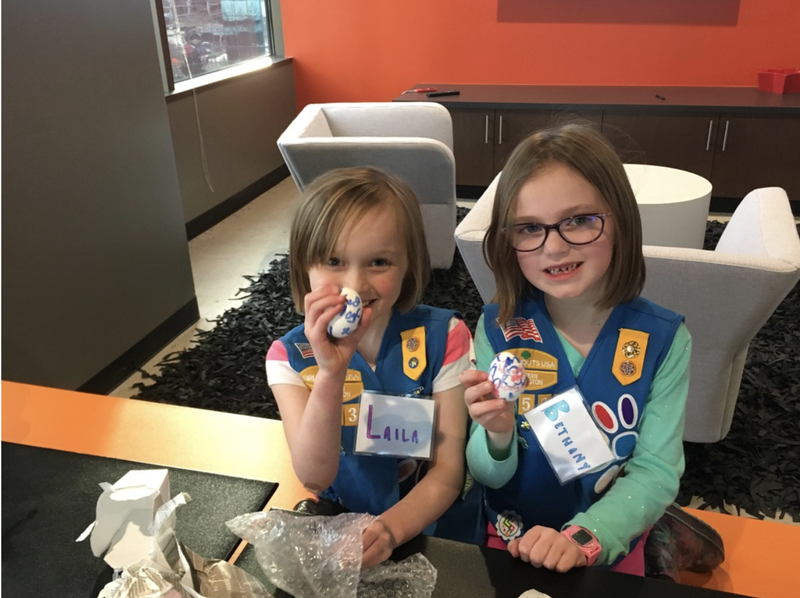 Crediting Girl Scouts with helping her succeed in tech, Abigail agreed to bring in her troop and tell us about how her scouting experience laid the groundwork for her career. 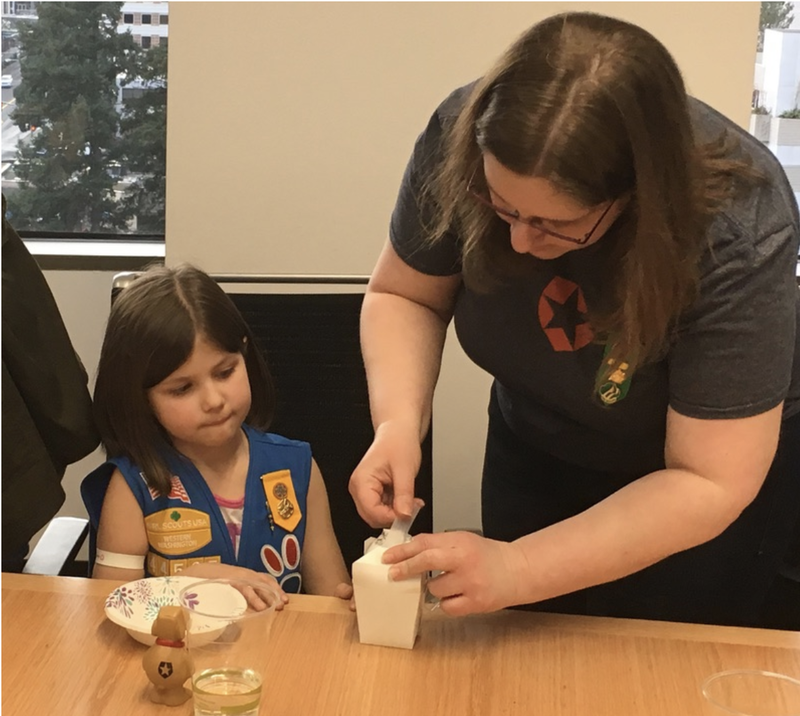 “There's a lot of stuff that I feel like I sneakily learned through Girl Scouts,” says Abigail, noting that the project proposal like the one she wrote to become a Gold Scout is something she’s continued to prepare throughout her career. Scout gatherings similarly prepared her for her first professional conferences through familiarity, making her comfortable picking which sessions to attend, as well as being prepared for awful hotel food. 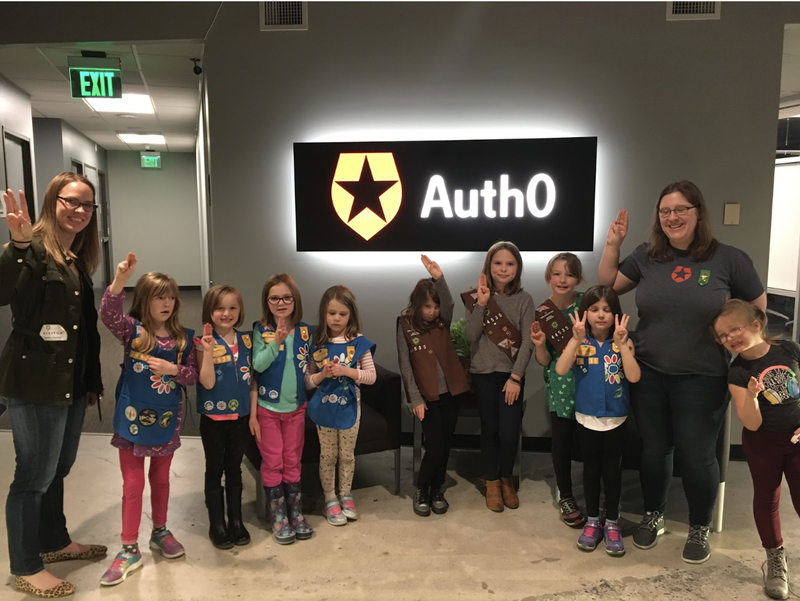 ""[Girl Scouts] would have sessions about being a scientist or working on computers…It just kind of broke down that barrier, and that's what I'm really hoping to do with my girls," says @auth0 @abdeansan"
Want to run your own company? How would you define CEO? 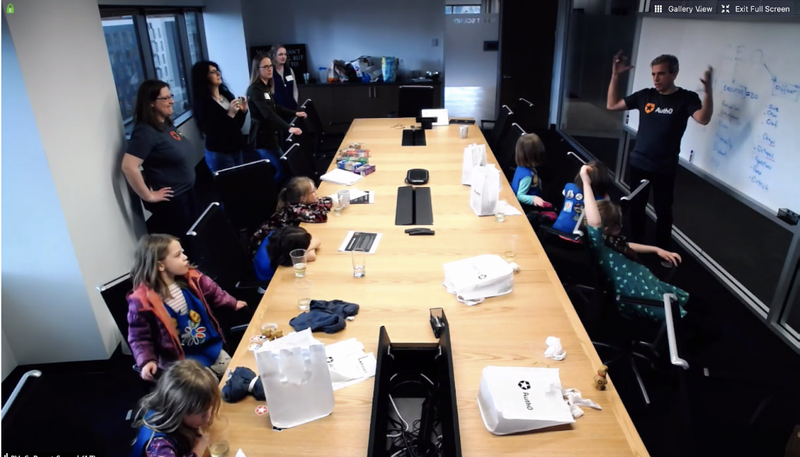 On International Women’s Day, Auth0 CEO and co-founder Eugenio Pace explained what we do here at Auth0 and led the girls through an exploration of how a CEO spends his or her time by guessing at the meaning of each letter in the acronym (our favorites: Caring Elf Operations and Community Emergency Octopus). During the session, co-founder and CTO Matias Woloski dropped by to ask the girls if any of them wanted to start their own company as he and Eugenio did. 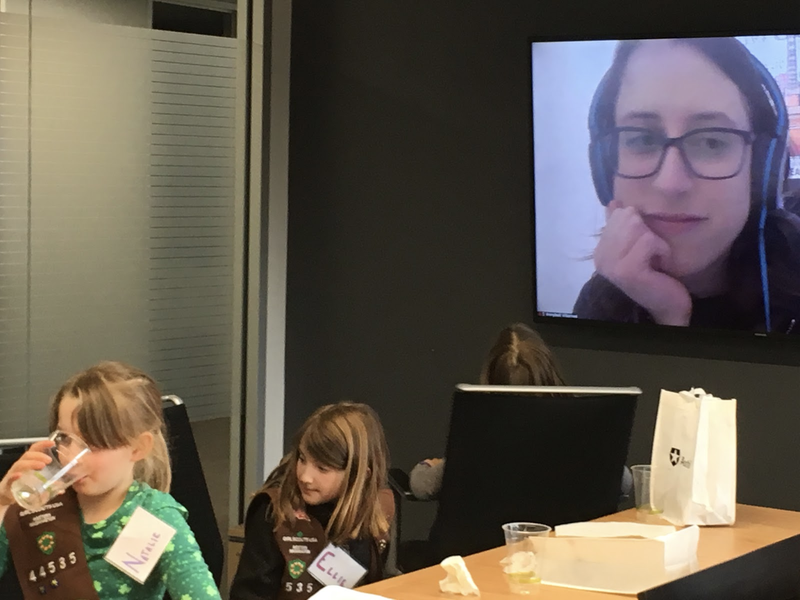 Girl Scout Charlie explained that she did, but unlike Eugenio and Matias, she didn’t want to start it with a friend, she wanted to start a video game company with her father. Security Operations Manager Annybell Villarroel logs on at 1:00AM Madrid time. Adding the last layer of security. As mentioned earlier, password habits are rough for adults, so we decided to make the risks concrete with some eggs, newspaper, bubble wrap, boxes, and gravity. While Abigail explained the need to protect your secret password, the girls decorated eggs to represent their unique identity. They wrapped the eggs in bubble wrap and newspaper, then put them in takeout cartons, and sealed them with tape. We then very carefully moved to the kitchen to see if their unique identities would be properly protected against an attack by the hacker gravity. 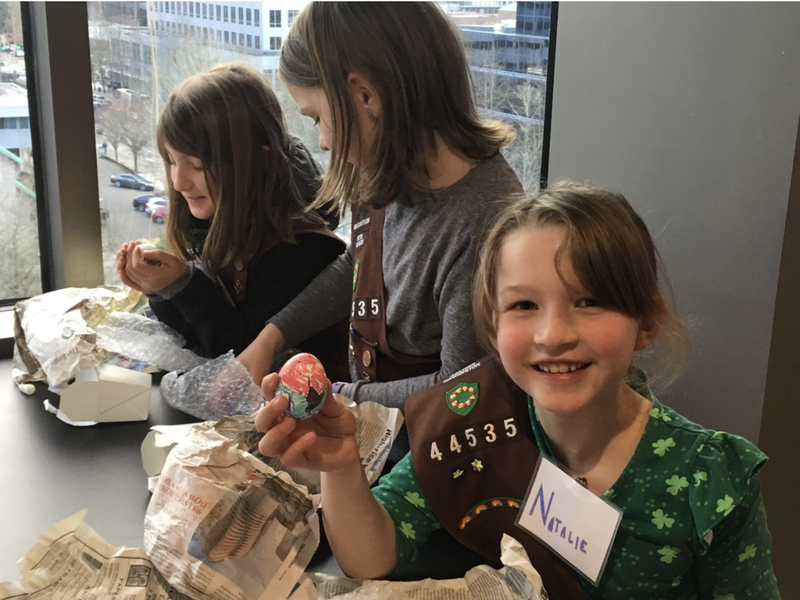 “If the egg breaks, hackers get the information which is the egg yolk,” explained Girl Scout Natalie. Just before testing the strength of the egg passwords. 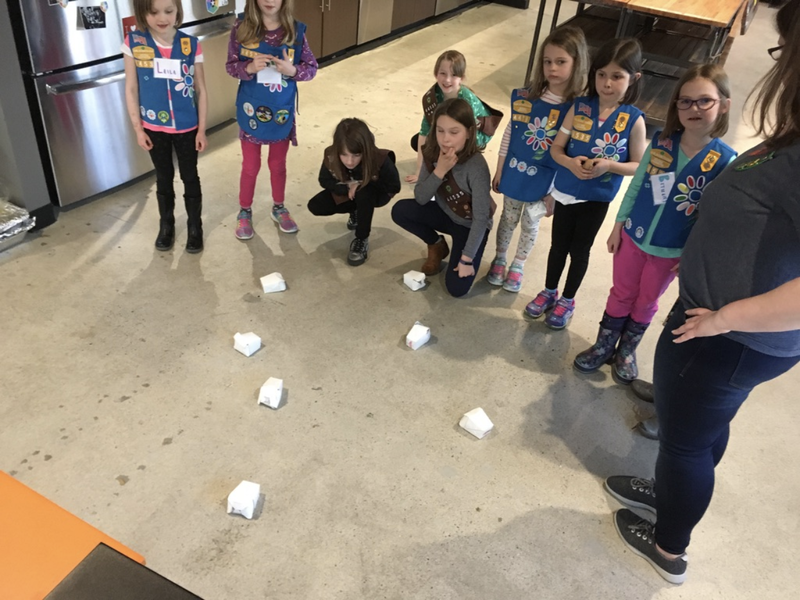 "If the egg breaks, hackers get the information which is the egg yolk, explained Girl Scout Natalie (speaking about the Auth0 identity egg exercise)." The passwords appear secure, but are they? Not every egg made it. Some Scouts lowered risk by not dropping at all — essentially avoiding the internet altogether. Eggs fall every day in the form of hack attacks and breaches. Choosing to avoid certain sites makes sense for safety, with precautions, the girls (and all of us) should be able to safely navigate the interwebs. But several egg passwords survived! These egg passwords also held strong! 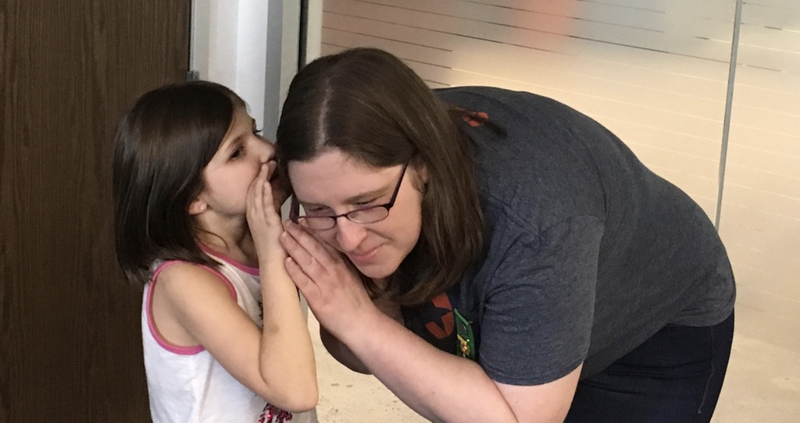 Maybe you remember the old game of telephone, where you try to whisper a message and keep it from changing as it gets passed around the room? Well, we played this game to show how computers are connected and demonstrate how the girls might recognize social engineering if the messages changed or started in unusual ways (Natalie usually sends a heart emoji to Charlie, but this time she sends a spider and Natalie doesn’t like spiders). After a few rounds of playing computers passing along the message, the girls quickly realized how easy it was for the information to change by “hacking” it with a few words. Troop Leaders Candace Scairpon (left) and Abigail Sanchez (second from right) with the group! We wrapped the day with a photo opp. On the way home, the girls were overheard explaining the difference between black hat and white hat hackers. Initial cybersecurity install successfully completed! 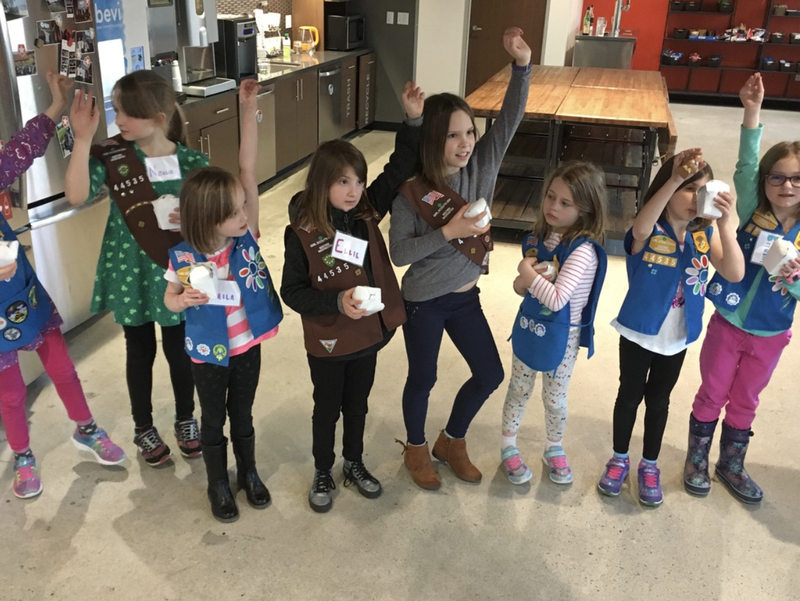 Would you like Auth0 to help your Girl Scout troop get their cybersecurity badges? Please reach out to abigail.sanchez@auth0.com.